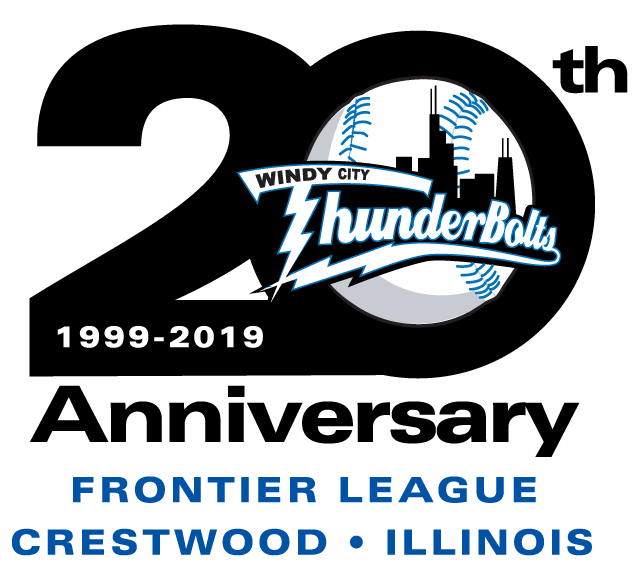 The Windy City ThunderBolts and First Midwest Bank are proud to announce the events for our 20th Anniversary Weekend, May 31st through June 2nd at Ozinga FIeld. On this weekend twenty years ago, the Cook County Cheetahs and River City Rascals opened Ozinga Field in the first Frontier League game for both clubs. This special weekend, we bring back the Cheetahs and Rascals to remember the beginning of a new era. Boomer is going to have company as Lucky Chucky Cheetah will also be at the park! - After the game, all fans will be treated to our world famous postgame fireworks show! 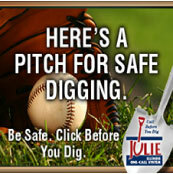 - As always all kids can run the bases after the game! - Finally, do not forget about our 20th Anniversary Special for Friday games only! Party like its 1999 and get 2 upper level seats, 2 hot dogs, and 2 beer/soda/waters for JUST $19.99! THIS DEAL MUST BE PURCHASED IN-ADVANCE! Purchase your tickets by calling 708-489-2255, on-line (instructions below), or in-person at the Ozinga Field box office. Purchase 20th Anniversary Special On-line HERE: Once you come up to the "Confirm" page while you are going through the process of purchasing tickets on-line, type the word Anniversary in the box down below and click "APPLY PROMOTIONS"
- Also, legendary organist Nancy Faust will be playing all game long this Saturday night! Relive memories as the former Chicago White Sox organist plays all your favorites tunes from her decades on the southside. - Finally, stick around after the game for our world famous fireworks show and of course all kids run the bases after every home game! - JULIE, Inc. Family Sundays is back with new in-game activities and pricing! Get 4 Tickets, 4 Hot Dogs, 4 Bags of Chips, 4 Soda/Bottled Waters and 4 ThunderBolts' Hats for ONLY $39! Additional tickets can be purchased for $9.75 each. This deal is available in-advance or on the day-of-the-game. Tickets go on-sale Monday, April 1st and you can purchase your tickets by calling 708-489-2255, on-line (instructions below), or in-person at the Ozinga Field box office. There is no option to get the package without hats in 2019. Purchase Family Pack On-line HERE: To apply the family pack discount, enter the promo code Family on the Confirm Page and click "APPLY PROMOTIONS"
- Also, every JULIE, Inc. Family Sunday features in-game family activities and entertainment! June 2nd features Mr. D's Magic & Illusion Show from 2:30 pm - 3:45 pm. - Finally all fans are invited down on the field every Sunday to run the bases, get autographs from their favorite ThunderBolts, and play catch in the outfield!